We're growing up... eNews turned 21 this issue! 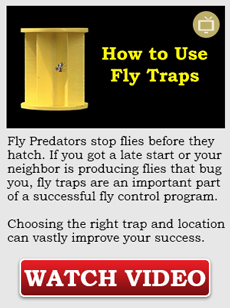 Earth Day is everyday when you use Fly Predators®. Get on the Path to Earth Friendly Stable Practices. Quick Tips for Biting Midges, Gnats, & Mosquitoes + Mosquito Torpedoes. Customer Spotlight is on Martha Taylor this month. Earth Day. Every Day with Fly Predators! Truly it's Earth Day every day with Fly Predators... Fly Predators were green before green was cool! These tiny beneficial insects kill flies before they emerge, naturally. 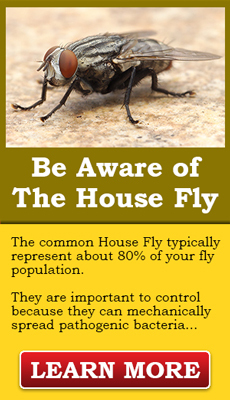 Fly Predators are nature’s own enemy of all common manure and rotting organic matter breeding pest flies, including the common house fly, horn fly, biting stable fly and lesser house fly. They serve as a major check of pest fly populations by destroying the next generation of flies in their immature pupa (cocoon) stage. Fly Predators never become a pest themselves and because of their small size and the fact they live their entire life cycle on or near manure (where the pest fly pupa are typically found), Fly Predators go virtually unnoticed. Be Green!.. Re-order your Fly Predators Now. Special thanks to Richard Horst Photography for this beautiful image! Some of you are already seeing and others will soon be seeing the biting midges, gnats, and mosquitoes that also come with spring. Try to get rid of standing water and drying up muddy areas (to the best of your ability) can help reduce some of these pests. For those pests, try Mosquito Torpedoes and as always, if you have questions or a problem with a bug and you're not sure what it is, call us at 800-737-2753!